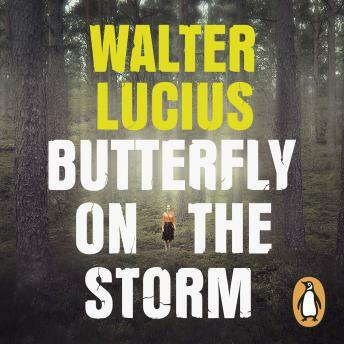 Penguin presents the unabridged, downloadable audiobook edition of Butterfly on the Storm by Walter Lucius, read by Alix Dunmore. Haunted by a past you can never escape . . .
A young boy is found in woods outside Amsterdam. Broken and bloody, he appears to be the victim of a brutal hit-and-run. When the police at the hospital ask what happened, the one word the boy repeats they don't understand. But journalist Farah Hafez does. She left Afghanistan as a child and she recognizes her native tongue. As the boy is taken into surgery she finds herself visiting the scene of the crime, seeking to discover how a little Afghan boy came to be so far from home. Instead, she comes across a burnt-out car with two bodies inside - a sinister clue to something far darker than a simple road accident. It is just the start of a journey that will lead her from one twisted strand to another in an intricate web of crime and corruption that stretches across Europe and deep into a past that Farah had sought to escape - a past that nearly killed her. Butterfly on the Storm is the first in a tense, atmospheric and gripping new trilogy which has drawn parallels with Stieg Larsson's Millennium series.